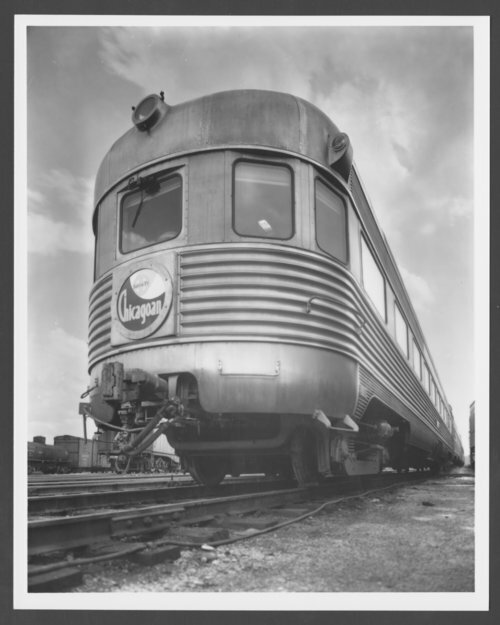 This black and white photograph shows the Atchison, Topeka & Santa Fe Railway Company's observation car the "Chicagoan" at an unidentified location. The passenger train ran from Chicago, Illinois to Wichita, Kansas. Atchison, Topeka & Santa Fe Railway Company's "Chicagoan"